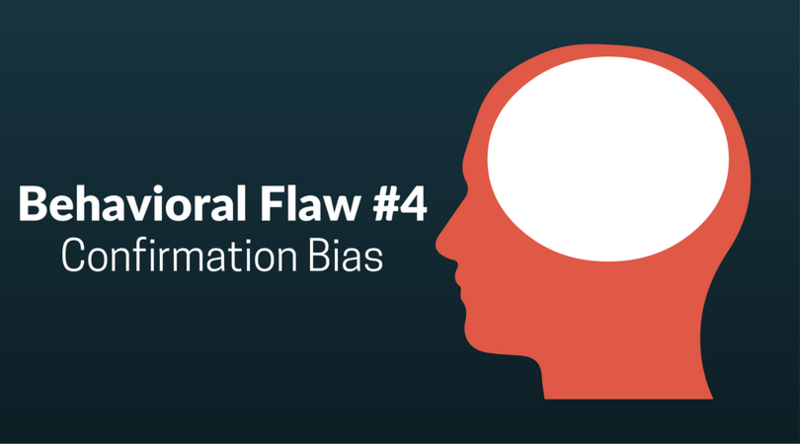 One sees confirmation bias in our business all the time. Consider the case of Harry Dent, who is the author of numerous books, including the modestly-named titles, The Great Boom Ahead (1994) and The Great Depression Ahead (2009.) He has produced subsequent titles, along the lines of the latter. He recently admitted to mis-timing the market’s correction, which he claims is still coming, but in this business early looks a lot like wrong. Regardless, one wonders how much reading he did of things that were contrary to his beliefs over the last seven years. Part of our company’s name comes from “Intellectual Integrity” (the rest coming from “diligence” and “strategy”), because of the importance we place on seeking out non-confirming information.